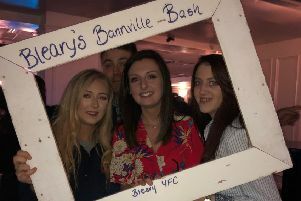 On Wednesday, March 13, 2019 Co Antrim YFC saw their 2018-19 year brought to a close with a very busy evening consisting of their county efficiency competition results and AGM. A special thanks must go to United Feeds for sponsoring the efficiency competition and Jonny Kyle for presenting the awards on their behalf. 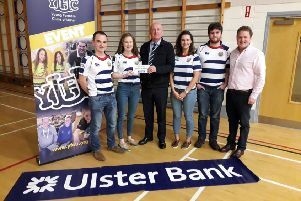 Thanks must also go to Co Londonderry YFC and Co Down YFC for the not so envious task of assessing the county’s members and deciding the top three places in each category. Good luck to all members placed first who will compete at NI level before the YFCU AGM on Saturday, April 13 at the City Hotel, Londonderry. The county would also like to pass on their congratulations to the newly elected county office bearers for 2019-2020 following the AGM and express their gratitude to the outgoing committee for all their hard work this past year. With the demonstration/presentation, stock judging and one act competitions taking place over the next few months all county activities and results can be found on the county Facebook page.